What is the Argyll Holidays Food, Drink & Lifestyle (F.D.L) Award? The F.D.L award is an award created by Argyll Holidays to showcase the best Scottish Food, Drink & Lifestyle blogs. We have narrowed this exclusive list down from hundreds of blogs to what we think are the best blogs on the web. We hope you find a new favourite from our list. Enjoy! Tinned Tomatoes is a blog run by a Scottish vegetarian who goes by the name of Jacqueline Meldrum. She started the blog in 2007 and specialises in vegetarian & vegan recipes and food writing. She has over 600 recipes on her blog to date - that's prolific! She lives in Scotland (duh) with her vegetarian husband & son and says she named her blog "Tinned Tomatoes" because most of her family recipes started with tinned tomatoes. However it is also as a reminder to "be more creative" with her cooking. Fancy trying out some vegetarian recipes? Head over to Tinned Tomatoes! Edinburgh Foody was set up in 2010 by Danielle Ellis (a Scot) but is now ran by three different women - Caroline von Schmalensee, Amy Brewer and Kerry Teakle, who aren't actually Scottish. With Edinburgh being a city with lots of food choices, we suggest this food blog should definitely have an impact on where you are going to eat. Their high-quality reviews are something to be taken seriously! The blog is primarily written by Caroline, Amy and Kerry but occasionally they feature posts by guests. This blog covers all things food - from chefs to ingredients or brewing to baking, you're sure to find something interesting! "Bake" a look at Edinburgh Foody. Scottish Mum is a Food, Healthy and Lifestyle blog ran by "Scottish Mum" (funny that!) who is from Aberdeen. She writes about everything from parenting to cooking and posts regularly on her blog. Scottish Mum has a huge social following - clearly a result of the good quality content that she is producing. She regularly interacts with her followers, so if you leave a comment on her website, expect a reply! She is a keen follower of the Scottish food blog scene and links to other great blogs on her website. This way to Scottish Mum! Claire Jessiman, based in Aberdeen, started this blog back in 2012. She is a food and travel writer, a mum of two and a "wife of one". She loves to cook from scratch and has a keen interest in family-friendly recipes. If you don't know what Foodie Quine means, (don't worry, I didn't either!) it translates as "A girl from Aberdeen who is interested in food". Her foodie adventures started at a young age when Santa brought her a Brownie Guide Cookbook and her cookbook collection has grown from there. Head out on an edible Scottish adventure. A Wee Bit of Cooking is a blog ran by Wendy - a teacher in the highlands of Scotland. She says she is into: Cooking food, finding food, growing food and eating food! With her main focus being on recipes if you need somewhere for an idea, why not try A Wee Bit of Cooking? Possibly the best name for a food blog we have ever seen! Keep Calm and Fanny on is not your usual food blog. It is almost a tribute to Fanny Cradock, a legendary cook. Keep Calm and Fanny on takes Fanny Cradock's 1970's recipes but, as the blogger is vegetarian, make them meat-free by simply taking the "meaty" things out! The aim is to see how well the recipes hold up using today's techniques or if they even work at all! Keep calm and Fanny on this way. Back in 2007 Mark and Emma, also known as Mr & Mrs Foodie, started blogging. They are now on their second blog as they decided they were covering more than just food so they needed to expand their opportunities. Foodie Explorers are based in Glasgow and cover accommodation, travel, lifestyle and much more! They have 8 team members (including 2 cats) who all have an input into this blog. This way to Foodie Explorers. Established 15 years ago in 2003, Ananyah (meaning One of a Kind) transformed from a personal blog into a site that covers food, travel and life's adventures. Born in Glasgow, Michelle was raised in Singapore and Kuwait prior to moving back to the city in 2006. As a result, her background greatly impacts her blog and the way she writes. Working in the IT industry as a Senior Infrastructure Test Analyst by day and blogging at night, she mixes her day job with her passion for food and travel giving her the best of both worlds. To Michelle, there is nothing better than exploring new destinations, trying new places to eat as well as locking herself away in the kitchen for hours experimenting with recipes. Graeme was born and raised in Scotland and has spent most of his life exploring the country. He is a home cook and Scottish cuisine inspires him, as does the country. He explores the rich natural larder of Scotland, whilst highlighting producers who focus on provenance and welfare. He has been featured in places such as The Scottish Daily Mail, Food52, Great British Chefs and many more! His blog is split into seasons because "The produce-driven cuisine of Scotland is defined by the seasons", this makes it extremely easy for you to find seasonal dishes! 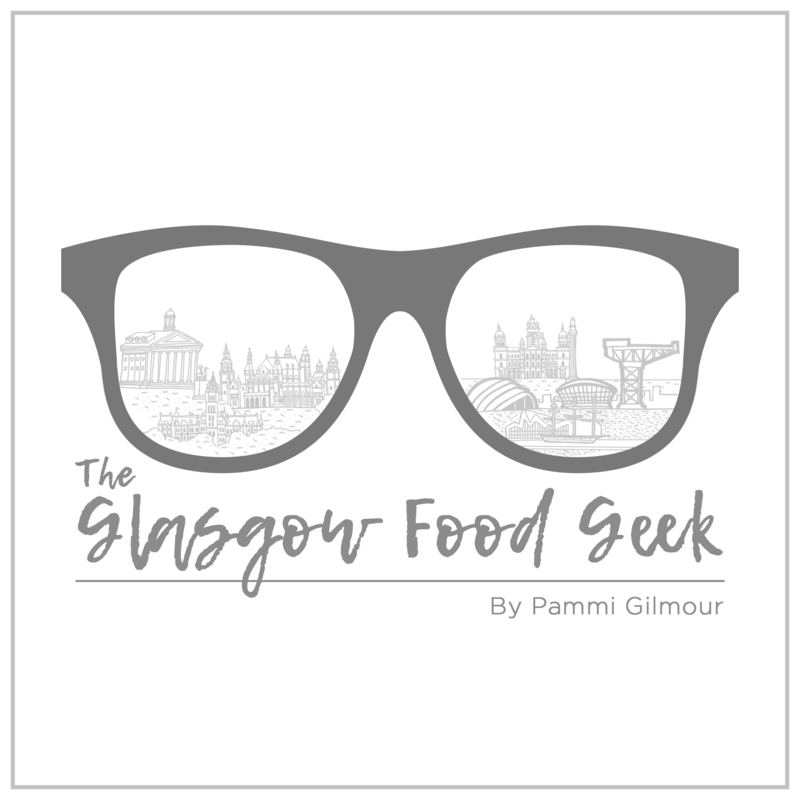 Pam started Glasgow Food Geek as a list of 100 foodie places that she wanted to try in Glasgow. Then she decided to, just for fun, set up a blog so that her family could read about her Glaswegian adventures. Her blog then spiralled out of control and people actually started to read it! She still has her "Hot 100" list, the 100 restaurants she wants to eat in and she currently has eaten in 97! Not bad going! She also writes about other restaurants she has visited and has a very well thought out Glasgow Restaurant Dictionary. You can find Pam's blog here. The Chaotic Scot is a travel blog packed with fun, food and inspiration run by Kay. Her blog focuses on food, hillwalking, Scottish islands, unique accommodation and whisky! In the past she has teamed up with Visit Scotland, the National Trust for Scotland, the Scots Magazine and CalMac ferries to produce features for her blog! Quite successful eh? "When you enter into the digital world of The Chaotic Scot, you can expect vibrant, high-quality images, descriptions which will make you feel like you're there, blurbs of history which transport you through the centuries, and sporadic attempts at humour." Follow The Chaotic Scot's adventures. Established in 2009, MyMonkfish is all about cooking, tasting and eating food in Edinburgh. If you are looking for short, snappy and straight to the point articles then this blog is definitely worth a read. Their blog posts are also very visually pleasing and will probably make you hungry! They have previously been featured on olivemagazine.com as blog of the month! Swim this way to My Monkfish. Eat Scottish has so many different parts to it, it's hard to know where to start! On their website they have a "Scotland's Larder" section which is all about Scotland's Food and Drink industry. From competitions to "Porridge Holidays" there is so much stuff to read about. They also run an event called #scotfood - a monthly live chat held on Twitter where you can talk about a wide range of food-related topics. Discover how to Eat Scottish. Your Scottish tour is a website that includes a blog called "Boys Eat Scottish" run by Donnie and Raymond. The pair owned a deli for seven years before selling it in 2015. Now, they try to eat out as much as possible (when their finances allow it!) and love trying new places. However, they often fall into the trap of going back to their favourites. They say that their blog is a reason to try new bars and restaurants and different cooking styles. A great feature of this blog is that it doesn't just cover when the guys go out for fancy meals, it could be anything from pub grub and drinks to exquisite dining in one of their top restaurants. Take a look at Boys Eat Scottish. House of Herby has been running for about five years and is owned by Sharon. She focuses on recipes (which look delish!) and also reviewing eating establishments. One of the many great things about this blog is that she will only review restaurants and bars that she truly enjoyed! She won't just review somewhere because somewhere has given her a free meal. She goes into great photo depth with her reviews as well. Sharon posts many high-quality photos in order to give you a real idea of the place that she is reviewing. Enter the House of Herby. Perrie is a Glaswegian based food blogger who reviews some of Glasgow's best venues. She has been running the blog for almost three years and you can tell from her writing that she knows what she is talking about! Her reviews are in-depth and she almost tells them like a story so you can be more engaged with the review. Adele, the owner of Tartan Spoon, is an events manager, a painter and a lover of food. Her favourite thing is food! She plans her holidays around food and travels for food. Now that serious commitment! She awards a "spoon award" for each place she reviews. She has travelled extensively around the world on a culinary adventure so she has a lot of experience in the food sector. She regularly writes about food & drink events, products and reviews restaurants. Give Tartan Spoon a stir. The Wee Food Blogger has been blogging since 2016 when she quit smoking and she found out she had taste buds! She was born in Scotland but lived in Brighton for 9 years. She is now eating her way around Edinburgh and travelling the Scottish countryside. She mostly reviews food but you will find the odd journal, hotel review or recipe on her blog. As a child, she was an extremely fussy eater but has grown out of that phase and will now try anything! She even ate horse in Reykjavik! Have a read of The Wee Food Blogger. Lynsey is a Scottish food blogger who writes reviews on anything from burgers to fine dining. She is also on a mission to find the perfect Gin & Tonic! (Any recommendations?). She writes about recipes she has tried and tested. She tells us she only writes about the best experiences because "who wants to hear about mediocre". Until she was age 23 she was the fussiest eater ever! She became a vegetarian by the age 5 that didn't eat fruit or vegetable… (how does that work?). However, in her late teens she discovered bacon and then at 24, when she met her now husband, she started to try new foods. And look where she is now, running a food blog! Check out Girl Versus Food. Food To Glow is American ex-pat Kellie's blog. She is a health educator specialising in cancer. She aims her recipes at those who are looking for a healthier option. Although not all her recipes are vegan she says she speaks "fluent vegan" and often offers a vegan alternative to her recipes along with gluten-free and soft food options where applicable. She also talks about eating in Edinburgh on her blog so it is not only recipes. She gives her opinion on the best places to eat and has a wishlist of places where she would like to eat in the future. Have a look at Food to Glow for yourself. This is a vegan's guide to eating in the Scottish capital, Edinburgh. Emma has been vegan for 2 and a half years and says it isn't hard to be vegan in Edinburgh. She has loads of restaurants on her blog where there is plenty of vegan choices. From purely vegan restaurants and cafes to omnivore cafes and bars - according to Emma if you want to eat vegan in an omnivore establishment then you just have to ask! Check out all of her listings so you can have a snoop around to see what tickles your fancy. This way to eat vegan! A Spoonful of Scotland is a food blog solely about Scotland (who would have guessed?). She was brought up in Glasgow and then studied in Edinburgh and then moved straight to London. After 18 years she moved back to Glasgow and found a brand new food scene awaiting. A Spoonful Of Scotland is based in Glasgow but she is also trying to discover Edinburgh's food scene at the same time, she tries to get there once a week. A Spoonful of Scotland reviews restaurants and cafes in both Glasgow and Edinburgh and also touches on recipes under the "features" tab in her navigation menu. Take a Spoonful Of Scotland. The Highland Foodie is a 31 year old lady from Inverness and who has been living in Glasgow for 12 years. Her aim is to take you with her on her adventures as she uncovers the best food in the Scottish Highlands and she sometimes posts about a trip or two as well! She writes blogs in a way that is told through beautiful pictures as well as meaningful words. If you are visiting the Scottish Highlands this is a must read blog! Have a look at Highland Foodie. The Glasgow Diet is run by Amy Glasgow, yes Glasgow is her surname! She moved to Glasgow from Edinburgh in 2008 to study and fell in love with the city. Her blog is split into different sections and she has her "favourite spots" on her website which is a nice feature. Her recipes are amazing with before, during and after photos and then step by step instructions which are great for anyone who doesn't know how to cook… it's a piece of cake (excuse the pun). Julia Bryce is an Aberdonian, 24 year old blogger. She has lived in Aberdeen her whole life and she eats her way around the city finding the hidden food spots, well known restaurants and the new openings. She gives us a great insider's view of what the restaurants in Aberdeen are like. Her reviews are in depth and are extremely photographic meaning that you know she puts a lot of time and effort into bringing you the best reviews possible. Take a look at Julia's blog. So there are the 25 winners of the F.D.L Award 2018! We hope you have enjoyed this and that you check out the blogs which caught your eye.